The Seattle Storm held its fourth annual community practice for youth at Seattle Christian School in SeaTac last week. 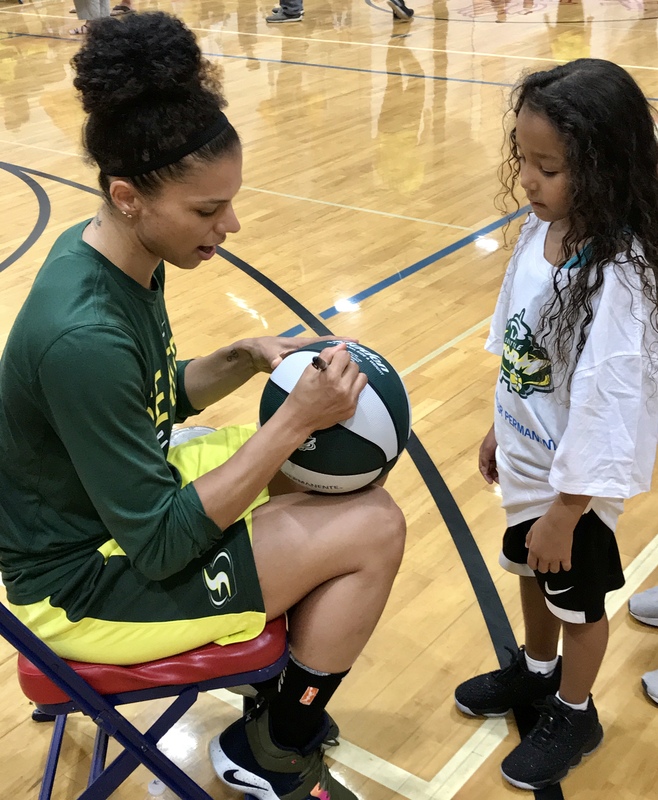 On Thursday evening, the Seattle Storm held its fourth annual community practice for youth ages six to 14 at Seattle Christian School in SeaTac. The free event was presented with Kaiser Permanente, and was part of its StormFit program, which also features basketball clinics and camps for youth. Over 100 children participated, and the stands were packed with their parents and families. The two-hour practice gave participants the chance to practice their basketball skills with other kids. It also featured games, prizes, autographs, an appearance from the team mascot, and a performance by the Storm Dance Troupe. Storm players facilitated the activities. “It’s always good for us to give exposure of our team to people who haven’t interacted with us,” Robinson said. “Hopefully, [this coming season] we will continue to play good basketball, and give the people of Seattle something to be really excited about,” she added. 10-year-old Avion attended the event, and said it helped him refine his basketball skills. “I enjoyed playing basketball with my friends,” Avion said. Both a basketball and a football player at school, Avion said events like this help prepare him for the upcoming season.